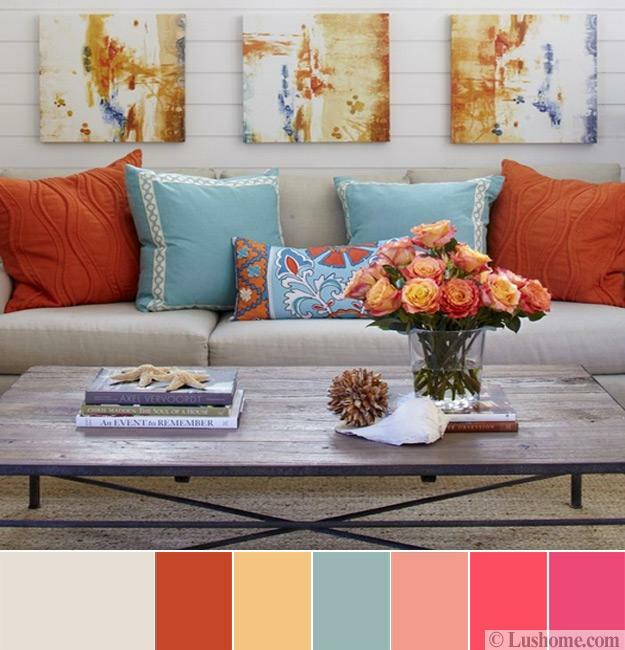 Latest color trends offer complex color combinations for interior design and decorating. Warm-cool color balance and hue intensity are essential elements for creating harmonious, comfortable and beautiful room color schemes. If you like to change your room colors, here are great tips for selecting a modern color design for 2018. 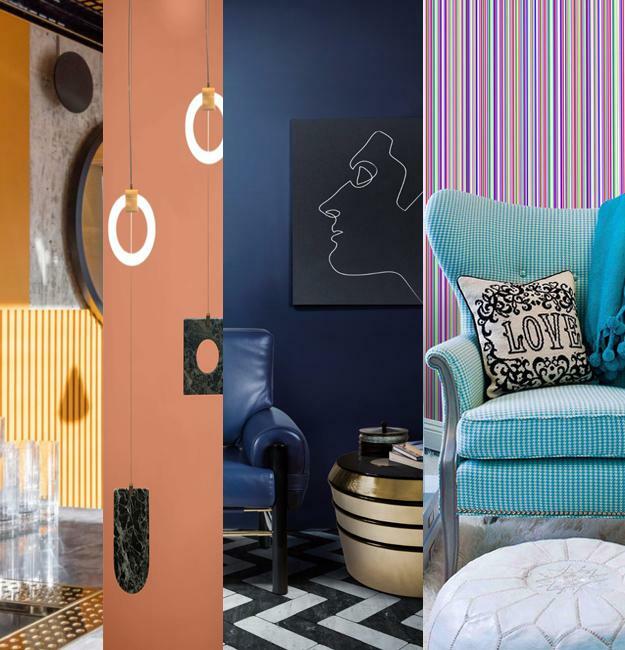 Combinations with neutral colors stay trendy, but pink, orange, yellow, purple, blue and turquoise create a stylish and bright look bringing gorgeous 2018 color trends in decorating. 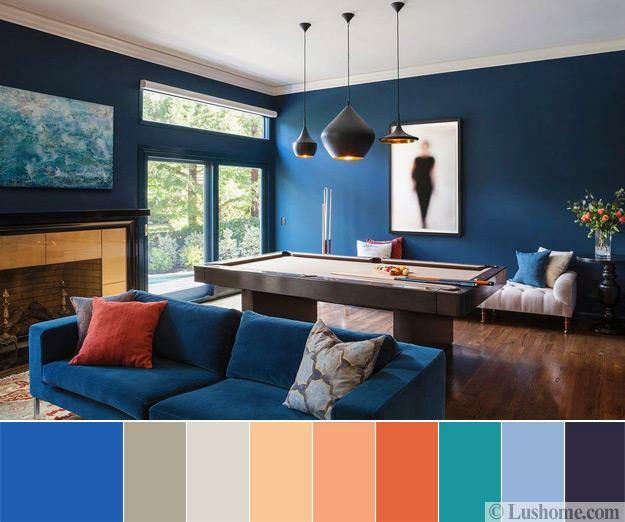 Lushome analyzed the favorite hues and Pantone colors that will be trending in 2018, and created eight interior color schemes to show how to use every modern color in interior design and decorating. 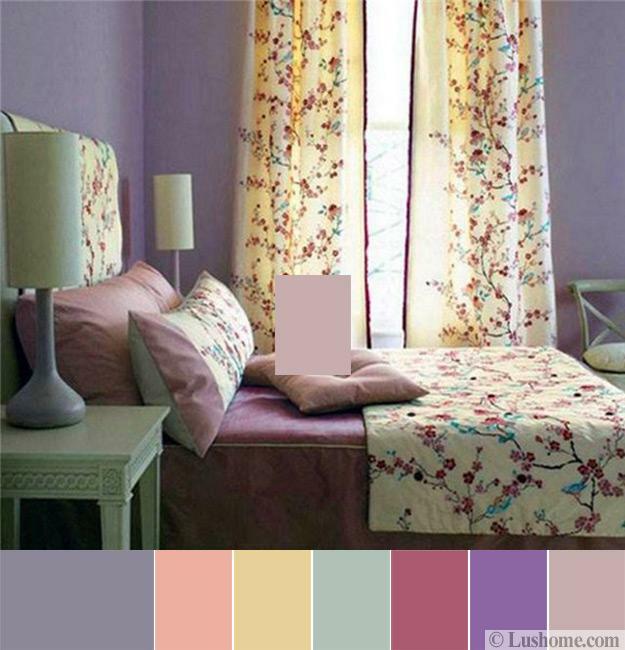 From powerful pink and its reddish hues to light yellow and golden colors, from turquoise, blue to purple, modern color design offers vibrant and tender hues you look forward to bring in your home. The 2017 greens turn into turquoise, creating freshness spiced up with warm yellow, oranges, and pink hues. Turquoise and blue colors are calming and inspiring. Green-blue turquoise color tones are fabulous choices for 2018 interior design color schemes. 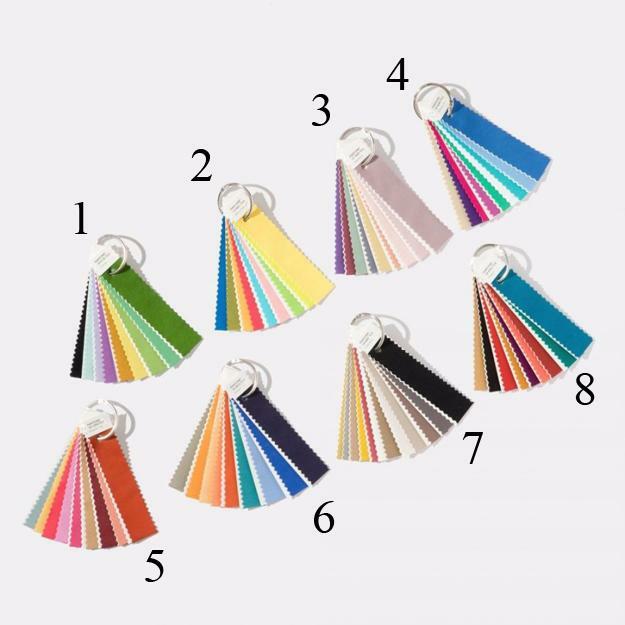 Pantone Color Institute revealed what color and design trends they recommend for 2018, and there are eight color palettes with many different colors offering attractive ideas for everyone. Silver and golden accents, and their quiet partners in neutral colors, like warm beige and gray, are color trends that help create relaxing, but attractive and elegant interior design in 2018. 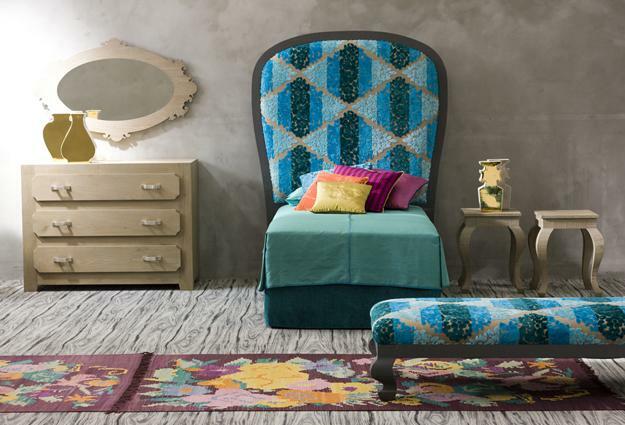 A movement to intense colors and blending them with pastels and neutral colors of natural wood, stone and metals are excellent news for bright color lovers. 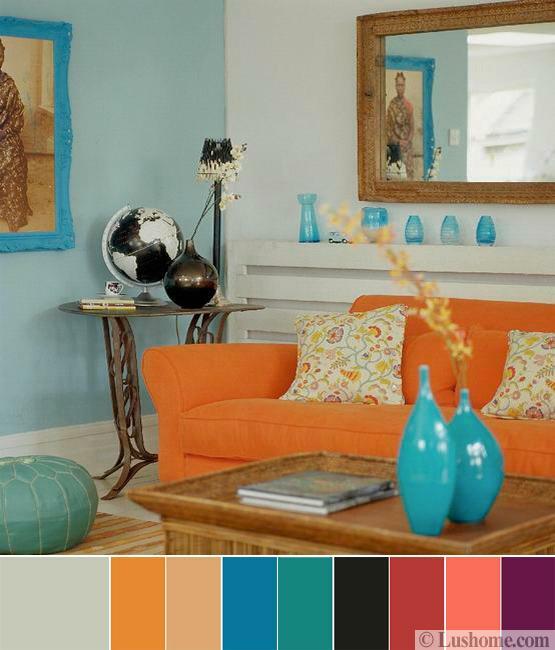 Bright room colors reflect energetic personalities, and intense hues relate to dynamic, fast paced lifestyle. Check out the eight palettes from Pantone and beautiful color schemes by Lushome to start thinking of the color combination for your interior design and decorating in 2018. The Resourceful palette includes complementary blue and orange producing beautiful color combinations, which celebrate balance and boldness. The Verdure palette blend celery and avocado greens, greenish yellows with reddish purple and eggshell blue to achieve a modern, fresh, and bright look. 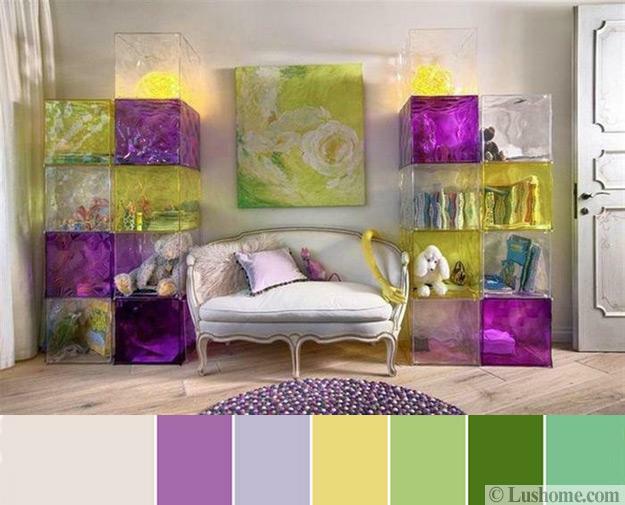 The Playful palette offers bright yellow, lime popsicle which adds fun to modern interior colors. The Discretion palette brings subtle hues such as Elderberry and Hawthorne Rose developing a new sense of pink power. 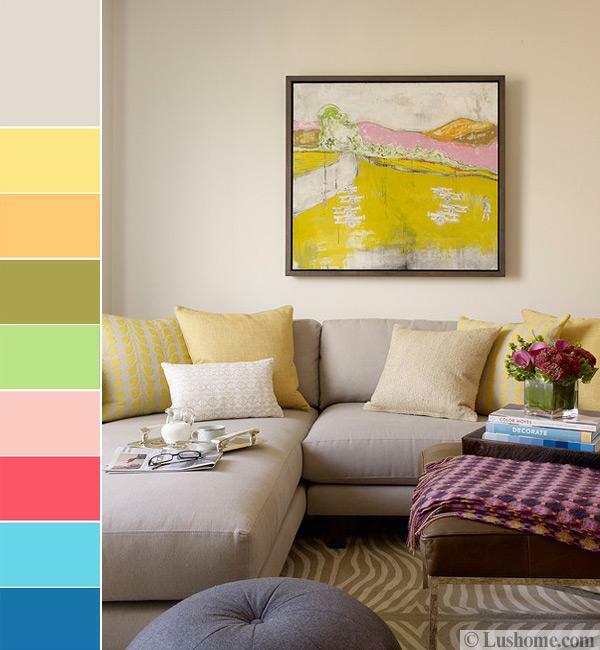 The Far-fetched palette combined warm, earthy shades such as Cornsilk Yellow and universally appealing rosy hues. The Intricacy palette brings neutral metallic tones and mixes them with pinkish red and bright yellow, turning neutral color combinations with warm accents into modern interior design color schemes that produce a sense of strength. A contrast of yellow and black looks sophisticated, balanced and pleasant. The TECHnique palette offers bright turquoise, pink and purple colors. Brilliant White and Frosted Almond enhance contrasts providing an elegant background for classy turquoise and pink.